Simply Spoiled Keto BHB Is designed to help ketosis and boost energy! Formulated with energy enhancing Ketone BHB (Beta-hydroxybutyrate) and no artificial ingredients to help with ketosis. Our Ketogenic formula is very effective. 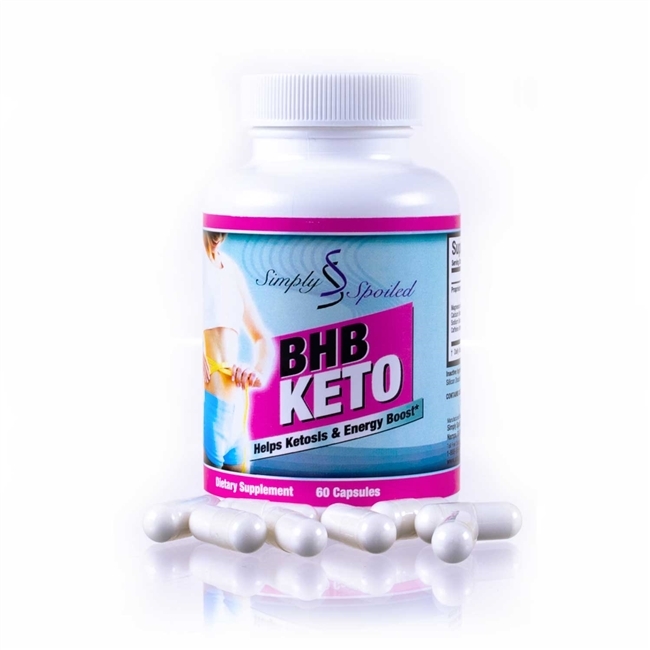 Our BHB Formula is in capsule form, BHB levels in your body can help generate an increase in brain function, heart performance, liver behavior, and potentially enhance other tissues – all important factorst when you are on a Ketogenic diet. Being in Ketosis helps with burning fat and losing weight! No powders to mix so there is nothing to taste. Gives an energy boost, stay fueled longer when your body is not able to product ketones fast enough and glycogen is depleted. This allows for an enhanced workout. 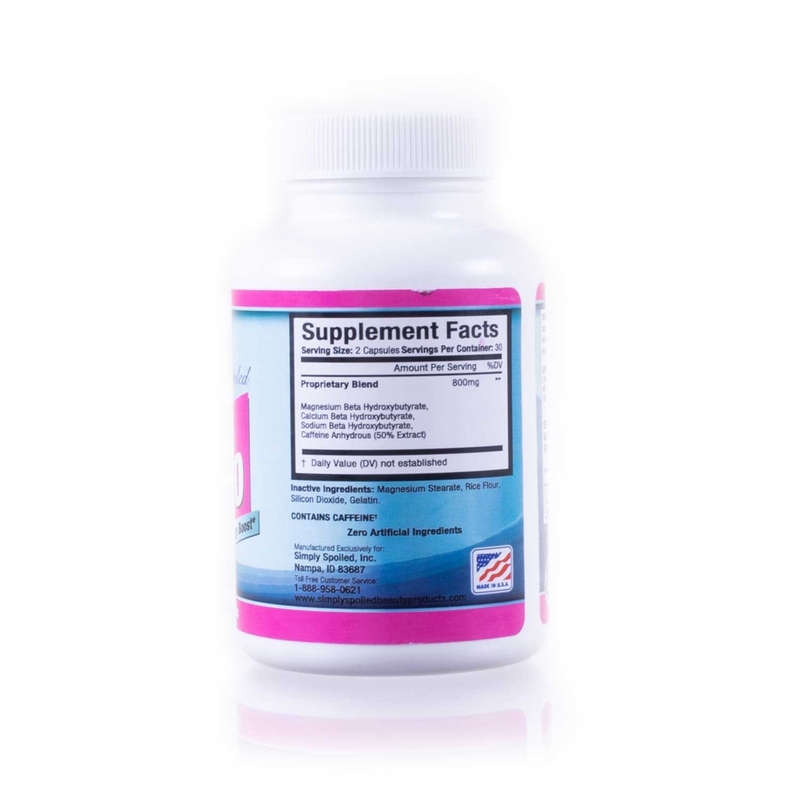 800 Mg Proprietary Blend contains: Magnesium Beta Hydroxybutyrate, Calcium Beta Hydroxybutyrate, Sodium Beta Hydroxybutyrate, Caffeine Anhydrous (50% extract) Inactive ingredients’ Magnesium Stearate, Rice Flour, Silicon Dioxide, Gelatin.